TOKYO -- Toyota Motor Corp. is forecasting that its global sales will rise 21 percent this year as its production recovers from natural disasters in Japan and Thailand. Sales, including those of Hino Motors and Daihatsu Motor will climb to 9.58 million vehicles in 2012, after falling 6 percent to 7.95 million in 2011, the company said Friday in an e-mailed statement. The carmaker is aiming to regain market share after being outsold by General Motors and Volkswagen last year. VW Group reported sales of 8.16 million units in 2011, behind GM with 9.03 million. Toyota is counting on vehicles such as the Camry midsize sedan and a smaller version of the Prius hybrid to help revive sales growth. Daihatsu sales will increase 17 percent to 850,000 units, while Hino will probably see deliveries increase 23 percent to 150,000 vehicles, the company said. 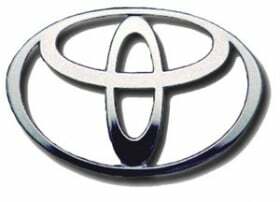 Toyota disclosed sales estimates for its own vehicles, excluding those of Hino and Daihatsu, on Jan. 25.